Though they've been cash-starved for decades, Italian luxury brands Alfa Romeo and Maserati may have a bright future. 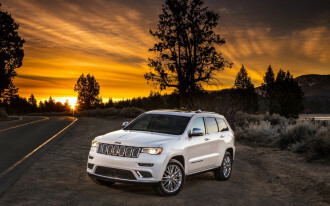 That's according to the five-year plan revealed Friday by Fiat Chrysler Automobiles, which owns the two Italian divisions. 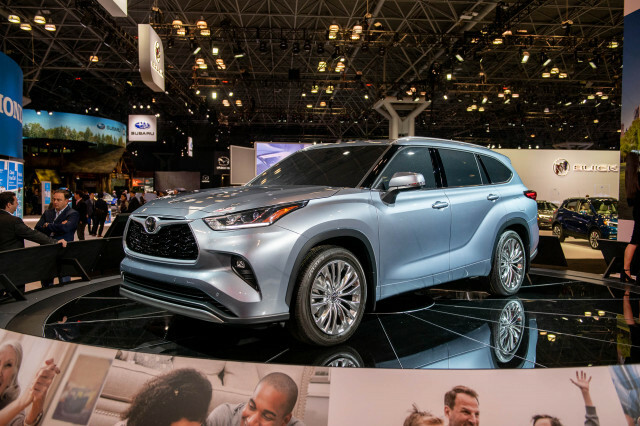 FCA indicated that Maserati will continue to push upmarket, while Alfa Romeo will branch out with a new subcompact crossover SUV, a full-size crossover SUV, and a sporty coupe which will reboot the historic GTV nameplate. 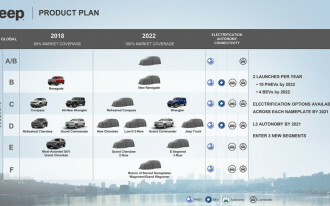 In addition to its Stelvio compact crossover, Alfa plans by 2022 to offer a smaller model that would square off against the BMW X1 and the Volvo XC40. 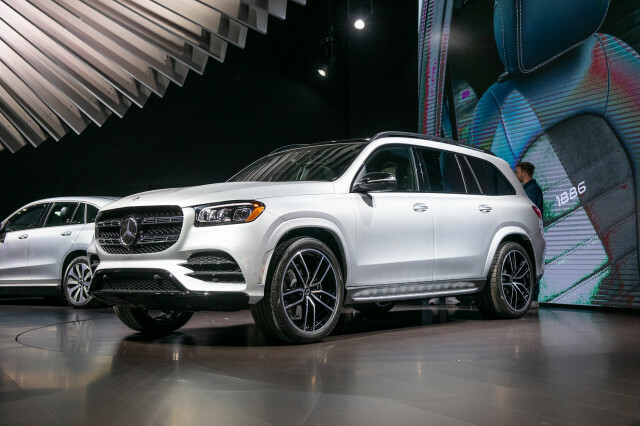 An extended version of the Stelvio, possibly with three rows of seats, will expand the company's first crossover SUV nameplate. 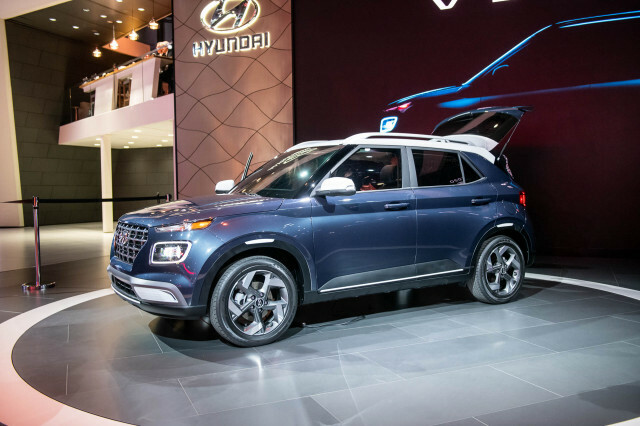 Additionally, the company said it plans a larger crossover SUV that could compete with mid-size models such as the BMW X5 and Mercedes-Benz GLE-Class. 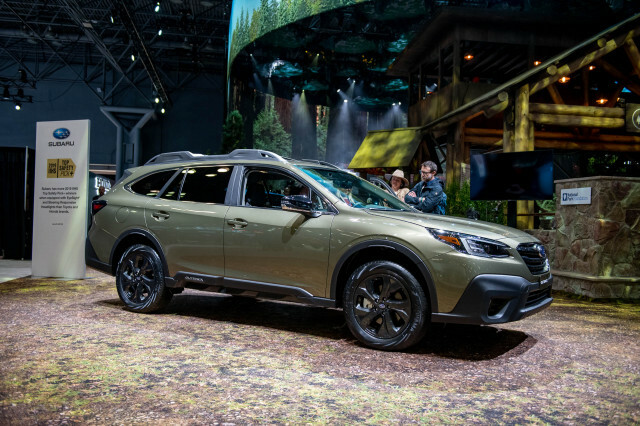 The two new SUVs are likely to be available with plug-in hybrid powertrains and at least Level 2 self-driving technology. Crossovers and SUVs aren't the only thing Alfa Romeo has in store for its mainstream lineup, however. 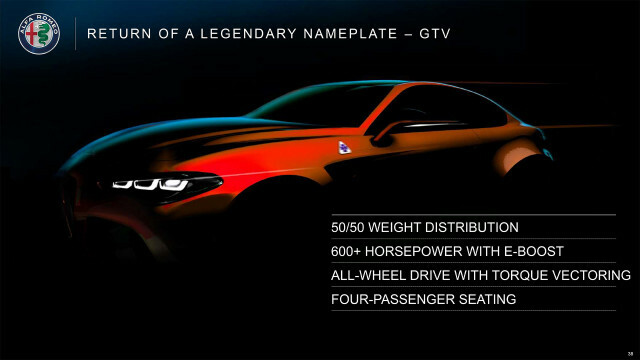 The automaker said that a two-door Alfa Romeo GTV coupe based on the Giulia could debut as soon as next year. 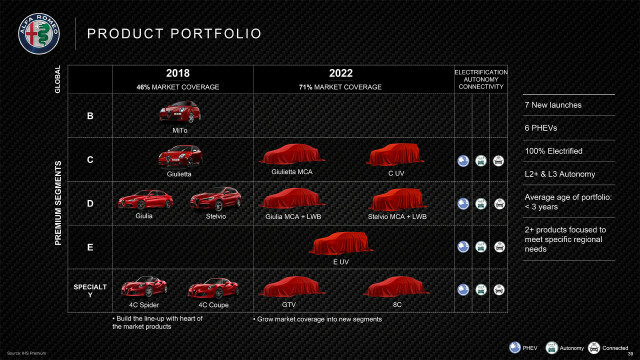 The new models are all part of a bid to more than double Alfa Romeo's global sales to 400,000 by 2022. Globally, the division will drop its slow-selling MiTo minicar and will redesign its Giulietta subcompact over the next five years. 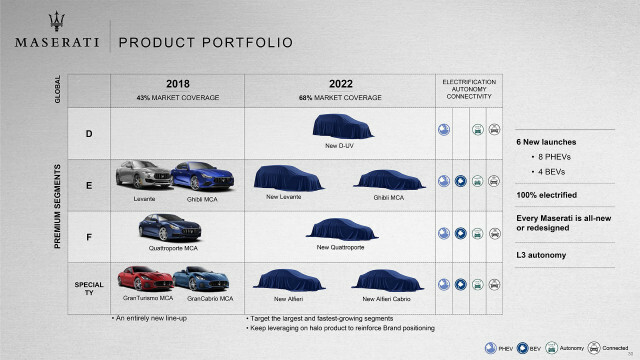 FCA said that both brands will get new flagship models: an electrified Maserati Alfieri coupe and convertible with Ferrari-sourced powertrains that could do battle with Tesla plus a revived Alfa Romeo 8C. 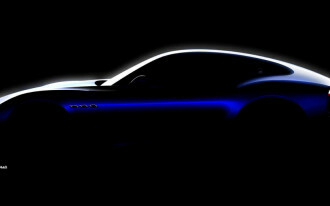 The Alfieri will make use of an aluminum spaceframe and a choice of three powertrains including a battery-electric variant and a plug-in hybrid. 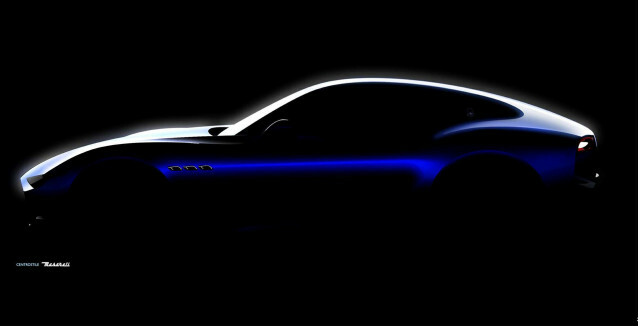 Maserati doesn't plan to leave its mainstream—if you can call them that—models alone, either. 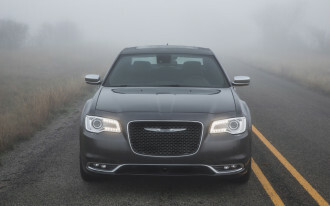 The division said Friday that it plans to redesign its Quattroporte and Ghibli sedans and Levante SUV, all three of which will be offered with plug-in hybrid powertrains for the first time. Alfa's new 8C won't likely have much in common with its predecessor, aside from sky-high pricing and limited production. Alfa Romeo said Friday that the new 8C will feature a carbon fiber monocoque chassis to save weight plus a mid-mounted 700-plus hp twin-turbo V-6 engine with an electric drive system for supercar-worthy performance. Alfa quoted a 0-62 mph sprint time of under three seconds for the new 8C that's slated to bow early next decade.